My daughter, son and I agreed that, occasionally, each of us would submit a picture based on a theme and that I’d post them on this blog. As we live in very different places and each have our own particular view on life we thought that it might be interesting to see what transpires. As time goes by I hope that we will be joined by others and have contacted some of our family with the suggestion. 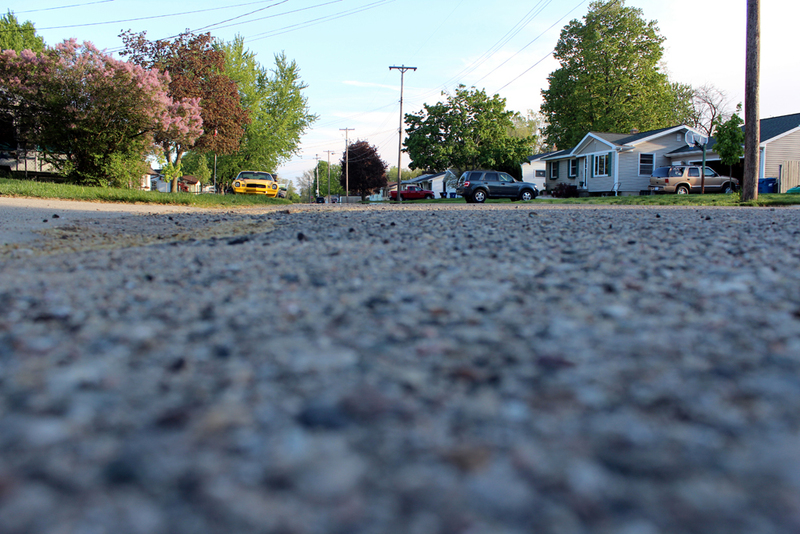 Theme – On the street where I live. 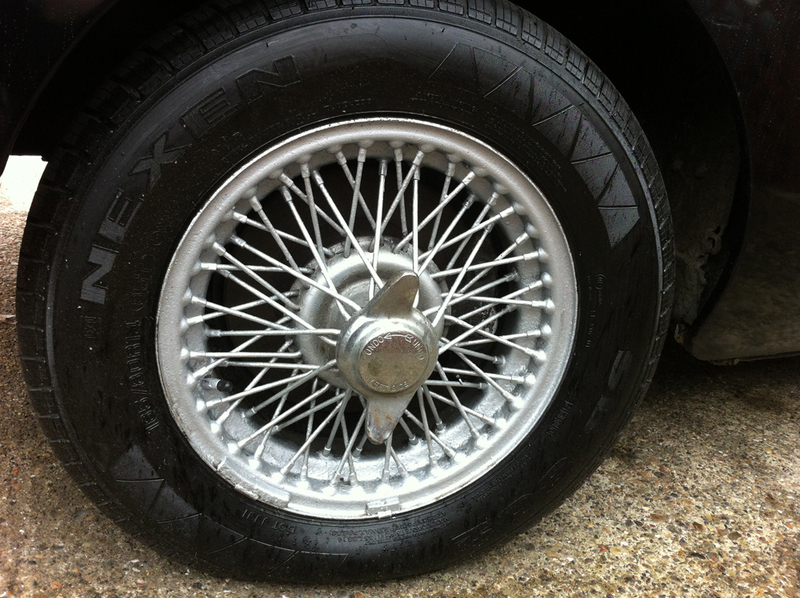 On the street where I live is a gentleman who works on his car and wears short sleeve T-shirts come rain, sun, snow or gale. There is a blanket TPO that covers all of the trees on our street. 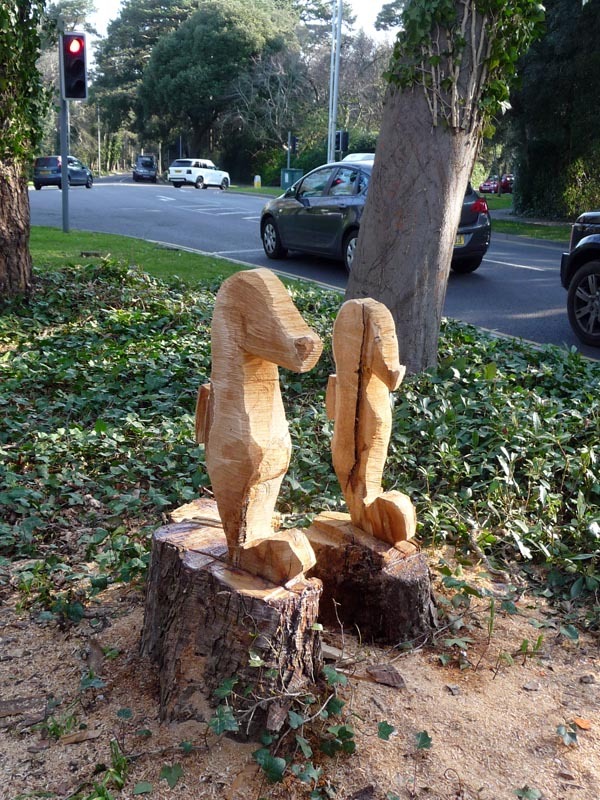 When two damaged trees had to be felled recently the stumps were converted, by chainsaw sculpture, into a visual amenity. Seahorses? « Creative . . . . again. Thanks, Jenny. The next is planned and one person has already opted in. Wow seahorses are a little bit random! Mind you there’s a totem pole carved from a tree trunk across the road from us. Love the picture challenge 🙂 keep up the blogging! Hey Jude 😉 Yes, but perhaps it’s not too far fetched. I haven’t seen any seahorses around here but the sea is only about a half-mile straight down the road in the direction of what ever they are, are looking.